The Florida Health Care Coalition (FLHCC) announced and installed the 2019-2020 Executive Committee during yesterday's Annual Meeting of the Board of Directors. 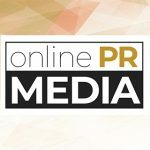 Online PR News – 15-April-2019 – Orlando, Fla. – The Florida Health Care Coalition (FLHCC) announced and installed the 2019-2020 Executive Committee during yesterday's Annual Meeting of the Board of Directors at Rosen Centre, Orlando Florida. "We are pleased to welcome our new FLHCC Executive Committee," said FLHCC President and CEO Karen van Caulil. "Each member of this high-profile group brings a wealth of knowledge from the health care industry and will be a significant asset for achieving the FLHCC mission." About Florida Health Care Coalition: The Florida Health Care Coalition (FLHCC) represents major employers across the state, addressing one common goal: to improve the quality of health care for all Floridians. Through educational programs and quality improvement initiatives developed by the member organizations, Coalition staff, board members, partners, affiliates, and sponsors, FLHCC organizes events that inform and contribute to health care quality improvement across Florida. For more information, please visit www.FLHCC.org, or find the organization on Facebook, Twitter (@FLHCC) or LinkedIn.